These are just a few of the many resources available for students on campus. 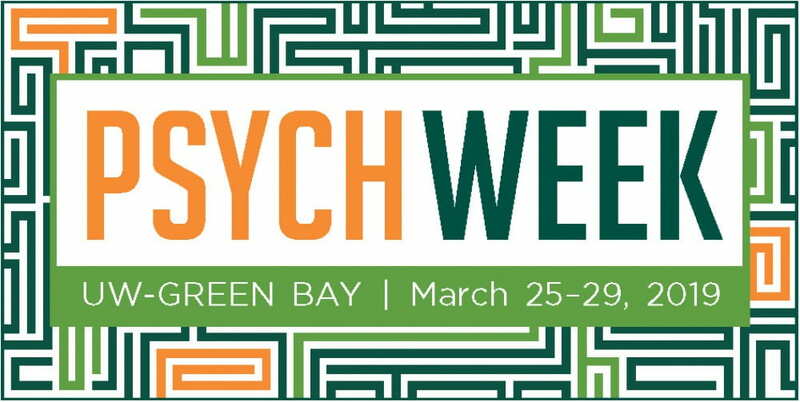 UWGB has a multitude of ways to get involved, stay involved, and help you reach success! Have a Game Plan: In any sport or activity athletes and coaches develop game plans that help them reach their full potential in a game, season, and in life. After hard word and dedication that goal can become a reality. Think of yourself as an academic athlete with professors, academic advisors, and faculty members as your coaches. Develop a game plan for your college career so you can best achieve your desired goals! Long vs Short Term Goals: You want to make both long and short term goals. The short term goals should be small and considered stepping stones to help you reach your ultimate long term goal/s. Make them Realistic: Every person is different with different abilities, strengths, and passions. The things you are personally good at and have a passion for should be reflected in your goals and accomplishments too! Goal Types: Why limit yourself to just academic goals? Go for that marathon, part in the play, or position at work. Goal setting can be done to help achieve anything, at anytime, with anyone, the possibilities are endless so why not got for it! 1) Glass half full or glass half empty? It is all about the perspectives. Not everything is 100% perfectly perfect, and that is ok. It is important to learn how to look at life as a blessing and not a curse. You accomplish that and your perception of the half filled glass will change as well. Do things that bring joy and confidence to your life. Wether that be working out, drawing, studying, reading a book, petting your cat, or talking with friends. Fill your life with what you love and bring purpose. It is a simple yet easy way for you to look at your life gratefully. Take a couple minutes everyday to list what you are thankful for. It is pretty painless process to list 10 things on a small sheet of paper before your first class, list them to yourself in the car, or even on your phone right before you go to bed. If I can do it, you can do it. If you ever find yourself thinking negatively, redirect. You can change a thought of, “I am not smart enough to pass this test” to “I am intelligent enough to take this test”. Even the knowledge of knowing you have the power to reframe your thoughts brings about a positive outlook on any topic. The positive thoughts you produce directly affect your moxie, or confidence. With an increased level of confidence you can attack lives challenges head on, with little to no hesitation. Time Management is an important life lesson that helps students, employees, and everyday people succeed. Not only is time management a skill professors, friends, and even future employers desire it helps you keep your sanity as well! Scheduling out your time is super important! It keeps you on track, responsible, and aware everything going on in your life. As busy college students the benefits of scheduling out every aspect of your life is key. You could make it as detailed as you wish but knowing when and where you need to be places and do things helps you stay focused. Prioritizing has many benefits including planning, future career’s, as well as keeping you happy and healthy. One suggestion is to make a list, of all the things going on in your life. Take the list and figure out where everything ranks from highest priority to lowest priority. This with help with scheduling as well as putting your time into the things you really see worth in and enjoy! Have you ever felt the sense that many things are happening all at once and you just can’t seem to catch up? This feeling is never fun, but if you start looking ahead at the coming days, weeks, or even months you can start planning and handling what’s to come. When you start to look ahead you can create a game plan or ever start spacing things out so when crunch time comes it’s not so bad! In life things happen, your car won’t start, you forgot to eat lunch, or even your shoe came untied you tripped down the stairs and now you are in the ER! Now I hope that never happens to anyone but the point I am trying to make is that purposefully leaving space in your day or even between responsibilities gives you some time to collect yourself before jumping into your life again. One of the most worrisome parts of taking a class is getting through exams with a good grade. But no need to fear! Here are 7 great tips to being a better test taker. Test day is not the day to arrive to class right as it start. Get to class a bit earlier to give yourself time to look over last minute material or sit and relax to calm your nerves. Sometimes professors will ask for any last minute questions before class starts or even give you hints! Right when you get the test, write down important things you know you need to remember like equations, a chart, an important acronym, or anything else you remember now but might forget as you work through the test. Take time to analyze the question, but your first instinct to the answer is probably correct. When you review your answers at the end (which you should leave time for) use that time to be sure you answered everything and double check the questions you struggled with. Do not use that time to go through and change a lot of answers. One of the most common problems with multiple choice exams is accidentally skipping a question and getting off on your numbers. A great way to help with this is to circle your answers on the actual exam, if the professor allows you to write on it, and then fill in the bubble on the scantron. That way if you get off you do not have to try to work through every question all over again! Watch the clock throughout the exam and have an idea of how far you should be at a certain time. If one question is really stumping you, circle the number and come back to it later. Better to have guessed on one answer than have to guess on five at the end because you didn’t have enough time. If you know how to do a particular kind of problem, go to that place and get it done right away. If you are worried you won’t have time to complete the essays with the quality you would like, do them first and come back to multiple choice afterwards. The exam is yours to conquer however you choose. Do not doubt yourself halfway through! Don’t let difficult questions discourage you or get you frustrated. Tell yourself you can do it and complain about the hard ones to your friends once the test is over. You got this! Author: Stephanie is a junior majoring in Psychology with an emphasis in Mental Health. After graduation in May 2019, she plans on attending graduate school to study School Psychology. Why Should I Talk to My Professors? Students often see professors as unrelatable, prestigious robots. Surprise, they’re people too! They have families, watch Parks and Rec, and even trip up the stairs sometimes. That’s what office hours are for! Professors have office hours because it’s a part of their job, but more importantly, because they want to meet you. Go to your professor’s office hours near the beginning of the semester to talk about class content, your major, or their research. The sooner you start to form a relationship with your professors, the better! Then if you get confused in class or need help with an assignment, it will be easier to ask for help. Individualized learning opportunities are some of the most valuable learning experiences in college, but sometimes they’re hard to find. Professors are the first to know about internships, research assistantships, and teaching assistantships. By talking to your professors about your goals, they can help connect you to opportunities that are right for you. Deciding what to do after school is tough. Your professors can help! They can give you information and resources about potential jobs or graduate programs. Whether you decide to go to apply for a job or a graduate program, you’ll need references. Professors can’t write you a letter of recommendation if they don’t know you! Get to know your professors early in your college career. They want you to be successful and they’ll help you along the way. The 3 Reasons Why Taking Notes During Advising Sessions is So Important and 3 Suggestions for How to Take Good Notes! Why Taking Notes is so Important! Taking notes during advising sessions makes it possible to remember what happened. It’s hard to remember all of the things that go on during your advising session. Taking notes helps you to keep track of everything that you discussed with your advisor. If you forget what happens, you can always refer back to your notes! Taking notes helps you to stay focused. Taking notes helps you to focus on the key points that you cover in your advising session. They help you to pinpoint the important things and helps you to prioritize your tasks. Taking notes can help you to keep track of the questions you asked your advisor and may help you develop new questions you have for your advisor that you can ask them at your next advising appointment. If your advisor helps you to find a solution to a question you asked and that same question arises in the future, you can always refer back to your notes to try to resolve your question on your own. Also, as your advisor answers the questions you have, more questions may arise. You can then make notes of the specific questions you want to ask your advisor at your next advising appointment, to make sure you can continue to progress in the tasks you want to complete. How to Take Good Notes During and Advising Appointment! Use a pen and paper. Taking your notes on pen and paper keeps your conversation with your advisor more open and personal. It can be hard to make good eye contact with a screen front of your face. Electronic devices also are more prone to causing distractions, such as notifications or the ability to open other browsers while your advisor is explaining something, and you might miss some important information that you advisor is tell you. It may be old fashioned, but pen and paper work best. Just highlight the key points. Making categories in your notes like “Classes” and “Internships” is a great way to only highlight the key points. It’s impossible to write down everything single thing you and your advisor talk about at your appointment, but keeping track of the key points will help you to have a solid list of your questions that were answered and the tasks you developed from your appointment. It can be tough to write everything out word for word at your advising appointment. Learning how to use shorthand, such as w/ means with, helps you to get more information on the paper at a quicker pace. Having a legend of all of your shorthand and what it means may be very helpful when you look back at your notes, so you can understand what you wrote.